Just three games into the season and the Saskatchewan Rush are heading into a showdown for first place in the NLL’s West Division against the rival Colorado Mammoth. Both teams enter the clash as the only undefeated clubs in the league. The Rush stayed unbeaten with their convincing 13-9 victory over the defending champion Georgia Swarm while the Mammoth kept unblemished record intact with an 11-7 decision over the Calgary Roughnecks. The Rush have won nine of the last 10 regular-season games against Colorado, including three of the last five in Denver. This is the first of three meetings between the Rush and Mammoth this season. They will tangle again in Colorado on February 2nd before their final meeting on April 7th in Saskatoon. This is also the first meeting between the teams since the Rush eliminated the Mammoth in the 2017 West Division Final. 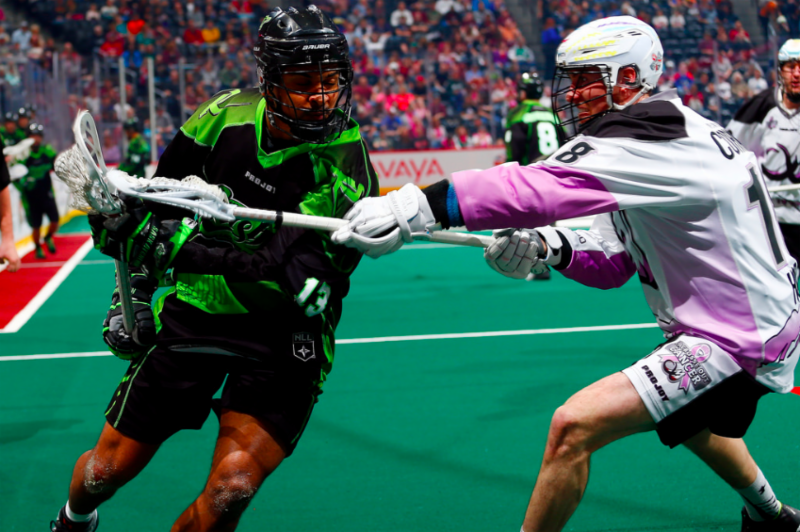 Saskatchewan opened up a 1-0 lead in the series when they blasted the Mammoth 18-9 in Denver behind a second-half offensive explosion that saw the Rush score 14 goals including nine in the fourth quarter. Saskatchewan’s dominant second-half against the Mammoth set franchise single-game playoff records for total goals, goals in one half, and goals in one quarter. The Rush and Mammoth met four times during the 2017 regular season with Saskatchewan winning three of the games, including both at home with one coming in overtime. Saskatchewan’s final weekend of the regular season featured a 10-9 victory in Colorado as Ben McIntosh notched a hat trick and Ryan Keenan racked up five points (1 goal, 4 assists). Curtis Knight, Marty Dinsdale, and Mark Matthews each scored twice in the win. The Rush captured their first home-turf victory in Saskatoon by beating the Mammoth 12-10 last January. Mark Matthews scored the last of his four goals to tie the game 10-10, and Robert Church potted the game-winner with Chris Corbeil adding a shorthanded tally to put the game away late in the fourth. Zack Greer picked up three goals and two assists for Saskatchewan which also got single markers Jarrett Davis, Adrian Sorichetti, and Ben McIntosh. Last Saturday in Georgia, the Rush scored six times in the third quarter to pull away from the Swarm with the final four goals coming in a span of 3:33 - the last of which was a shorthanded tally by Jeff Cornwall. Both Jeff Shattler and Robert Church notched hat tricks in the win with singles going to Mark Matthews, Marty Dinsdale, Jeremy Thompson, Matt Hossack, and Brett Mydske. Goaltender Evan Kirk turned in a standout performance for the Rush as he totaled 41 saves. difference maker is between pipes for the rush..evan kirk has been "outstanding"!